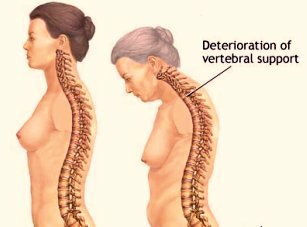 Osteoporosis is a major public health threat for 44 million Americans, only 68 percent of whom are women. Clinical evidence suggests that inflammation plays a significant part in bone turnover, causing this disease. To find out if your are at risk ask your doctor to order a bone density test called a Dexa Scan. Its painless and takes less than half an hour. I just heard on the news that Fosamax and the other drugs doctors have been recommending to women, are actually Causing fractures. I wrote about this quite awhile ago. It's good to see somebody is finally telling the truth. Any Chronic Inflammation Can Put You At Greater Risk! Chronic inflammatory disorders such as inflammatory bowel diseases (IBD) affect bone metabolism and are frequently associated with osteoporosis. Apart from estrogen deficiency, the early postmenopausal period is also characterised by an increasing inflammatory status, which further contributes to the development of osteoporosis/osteopenia. The link between inflammation and osteoporosis has only been established recently as it was found that higher circulating CRP levels are associated with low bone mineral density in both healthy pre and postmenopausal women. Recent estimates show that approximately 13 million men in the United States experience testosterone deficiency and less than 10% receive treatment for the condition. Lack of exercise. Use it or lose it. When muscle pulls on bone, the bone responds by growing. But if you're not exercising, both bone and muscle weaken. Walking or jogging can increase bone density in the hips, but weight-lifting won't. Nicotine has a direct toxic effect on bone cells. Many Medications Can Lead To Bone Loss In Men, Just As They Can For Women. These drugs, are useful for treating everything from asthma to ulcers, but can deplete your bone. Taking drugs called GnRH agonists, often used for men with prostate cancer, can lead to low bone mineral density (BMD) and a higher rate of fractures. Especially for men who take long-term high doses and don't get enough calcium or vitamin D.
Men, if you have any risk factors, ask your doctor for a bone density test to find out if you need to be concerned about bone repair. Take a quality Omega 3 Fish Oil Supplement. Omega 3s have been proven in studies to increase calcium deposit in bone. And omega 3’s are able to calm this inflammation. A healthy anti inflammatory diet is important. Don't be afraid to eat eggs and meat, your body needs them. All of these promote Chronic Inflammation in your body. You might consider taking a High Quality Multi Vitamin. Vitamin K is best known for blood clotting, however, it also plays an important part in the maintenance of healthy bones. Noted nutrition authority Dr. Alan Gaby has suggested that vitamin K is as important to bone as calcium. Do weight-bearing exercise, where, when your foot hits the ground, there's some force and impact. The experts recommend at least 30 minutes of moderate activity, like brisk walking, on most days of the week. Strength training, like weight-lifting or resistance training with weight machines, twice a week. Don't smoke, and if you drink alcohol, drink moderately. There are also several drugs on the market now for bones, called bisphosphonates which require a prescription. All of these drugs have been shown to increase bone density -- and Fosamax and Actonel lower the risk of spine and hip fractures. It is very likely that using these drugs for an extended period will weaken, not strengthen your bones, and actually cause a hip fracture. In fact, we know that bone naturally becomes less dense as we age, but what protects us from hip fracture is our ability to repair, meaning to break down old bone and rebuild new bone naturally. Because this natural bone repair process is halted when on bisphosphonates, it is very likely that using these drugs for an extended period will Weaken, not Strengthen your bones. There are also several adverse side effects associated with bisphosphonates. These are long term side effects, they do not go away when you stop the medication. Be informed. Talk to your doctor, but just as important, talk with other women before you decide to take bisphosphonates. Doctors are quick to write a prescription, but, it's your body. But, as always tell your doctor. Be prepared however, they want to get you on the bisphosphonates. Know That All Fish Oil Is Not Created Equal. Some of it is contaminated by mercury and other pollutants from where the fish are caught. Some are processed using high heat that destroys the oil. With many of the drug store brands you would have to take six pills a day to get enough EPA and DHA, and then it's still an inferior brand. If you have some fish oil in your home, take a capsule and put it in the freezer over night. When you take it out, it should still be clear and liquid. If it's cloudy or frozen you might want to discontinue using that product. It could be contaminated. Our findings suggest that fish oil supplementation has a positive effect on bone metabolism and might be a possible intervention to slow the loss of bone observed following menopause. Omega-3 fatty acids found in fish oil, EPA and DHA have been shown to decrease markers of inflammation, and decrease death due to heart disease. A number of studies suggest that fish oil EPA and DHA supplementation inhibits bone break down. It increases calcium absorbed from the diet, and enhances calcium in bone. Studies have shown that fatty acids, especially DHA, are positively associated with bone mineral accrual and, thus, with peak bone mineral density in men. In osteoporosis, there is a loss of bone tissue that leaves bones less dense and more likely to fracture. We now have the clinical evidence which suggests chronic inflammation plays a significant part in bone turnover, causing osteopenia, and osteoporosis in women as well as men. Remember Omega 3 fish oil is able to reduce that inflammation and to increase calcium deposit where you need it, in the bone. Find people that share your challenges. Learn what others are doing to cope. Help people with tips you've discovered. And add your comments to other peoples stories.